I harvested this buck on December 31 2016, New Year's Eve 4pm. This deer showed itself 3 separate times in December before finally giving me a shot! I hunted this deer hard for 3 weeks, I was hunting him in a ground blind he finally came out yesterday stood right in front of me 15 yards away felt like for 15 min never gave me a broad side shot, it was windy and a branch made a loud noise he was about to split, I took the shot right into the chest he dropped 10 yards away, I was using a parkers crossbow and 100 gran Nap expandable. 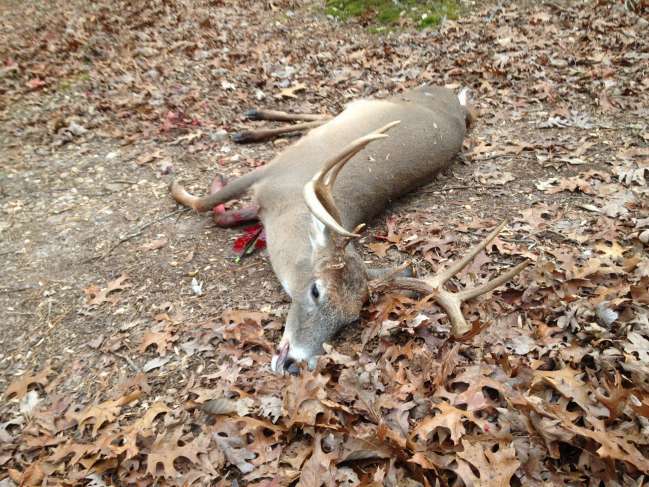 Crazy thing is this buck was rutting so hard end of December. We had a tuff season due to the heavy acorn dropped, between my wife and I we took 2 does and 1 buck in December. What a way to end the season!! !